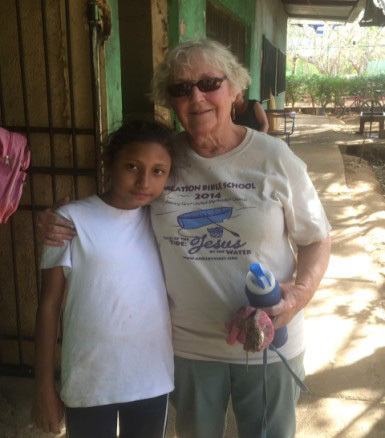 We have been blessed with a stable leadership staff for years and thanks to their devotion, many Nicaraguans now live in hope. After several months of discussion and review of the advice of business consultants, the board of directors made the decision to eliminate the position of In-Country Director. This became effective in December of 2016. The five remaining leadership staff members are absorbing the responsibilities previously fulfilled by the In-Country Director. Chacocente Christian School is in the capable hands of Jacqueline Hernandez, School Director, and Karen Gomez, Sub-Director. Juan Carlos, as Family Coordinator, oversees the upkeep of the campus including construction projects and addresses the needs of the Chacocente families and the surrounding neighborhood. Omar Hernandez will have an expanded administrative role but will maintain his work with delegations. Our Nicaraguan accountant will continue to monitor our finances and report back to us. Since graduating, the families are now landowners and are nearly financially independent. While the focus of Chacocente is primarily centered on education, the goal is to help our neighbors living in the neighborhood that surrounds the Project. Many live in very poorly constructed homes and have limited access to water and health care. We ask for your continued support, both in prayer and financially, as we strive to offer a hand to those in need. We are grateful to Gabriel Godinez for his years of faithful service and his assistance during the period of transition. Please keep him and his family in your prayers. 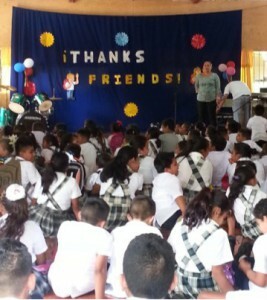 The new year for the Chacocente Christian School has begun. With 145 preschool through high school students enrolled, we are ready for another great year of learning and discovering new things! Teams from Asbury First UMC (Rochester, NY), Genesee Valley District (Western NY), San Dieguito UMC (Encinitas, CA), Troy Christian School (Troy, OH), and Valencia UMC (Valencia, CA) recently visited. gate and the main gate. 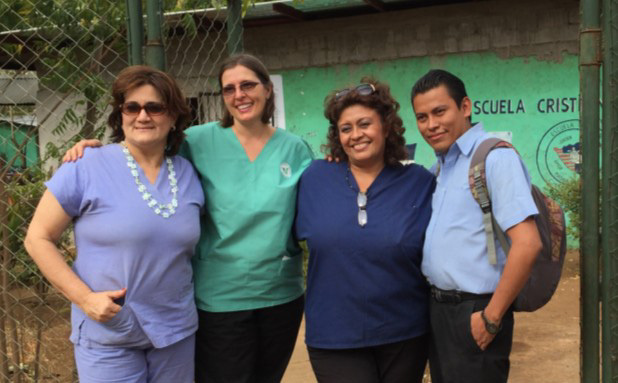 For the third year in a row, Dr. Belinda Forbes, a dentist, and United Methodist missionary coordinated a small medical team to hold a 2-day medical and dental clinic. Patients included Chacocente residents as well as families from the school. We are grateful for Dr. Forbes and her team! and with her smile said, could we make a trade? instead they grace a little girl, so sweet. I gave my shoes to Dulce.